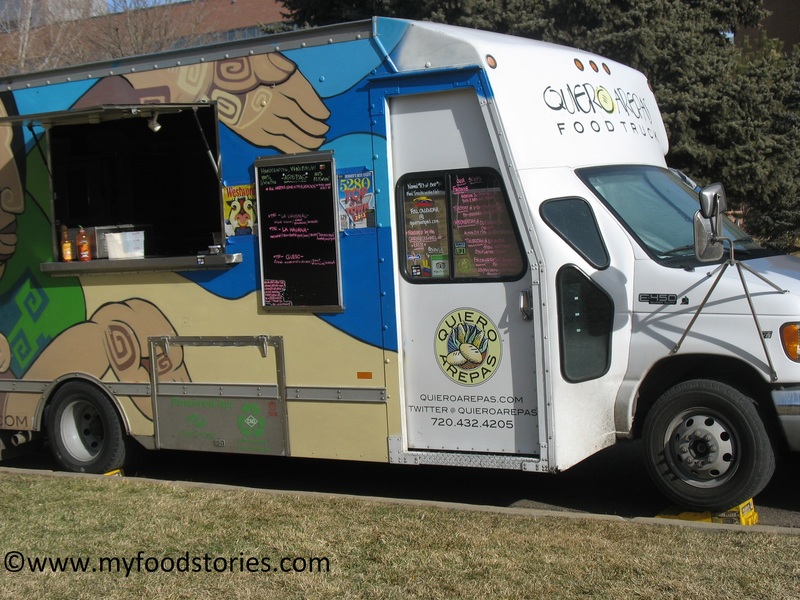 Owned by Igor (Venezuelan) and Beckie, “Quiero Arepas” food truck carries delicious ‘Arepas Venezolanas.’ Beckie told me their story. Igor used to bring Beckie Arepas Venezolanas to work. Daily observers of the daily lunch ritual grew curious and gave Beckie lots of positive feedback. 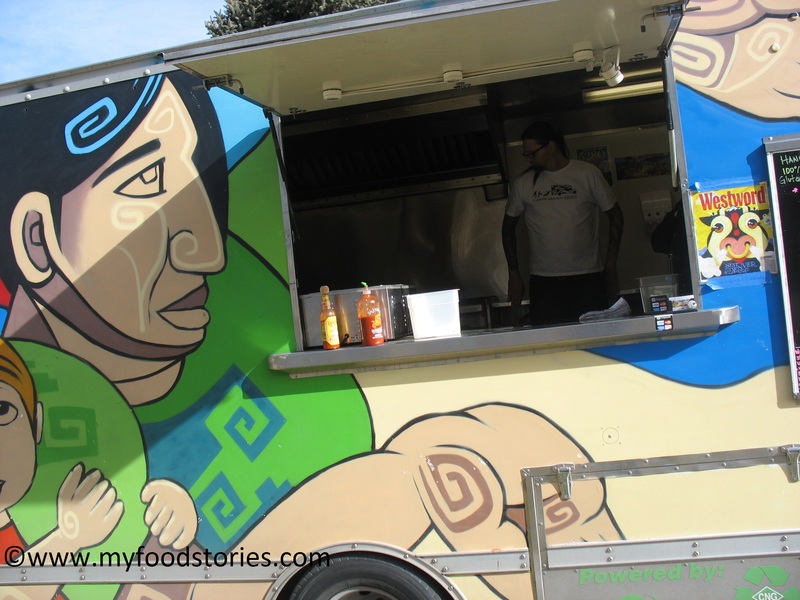 At that point Beckie and Igor knew it was time to open their “Quiero Arepas” Food Truck business. 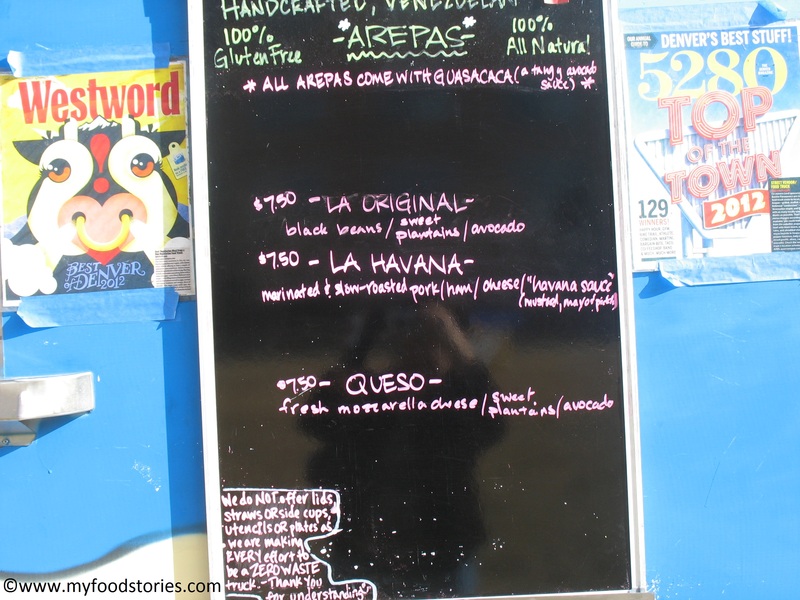 Their website (http://www.quieroarepas.com) is very well-organized. 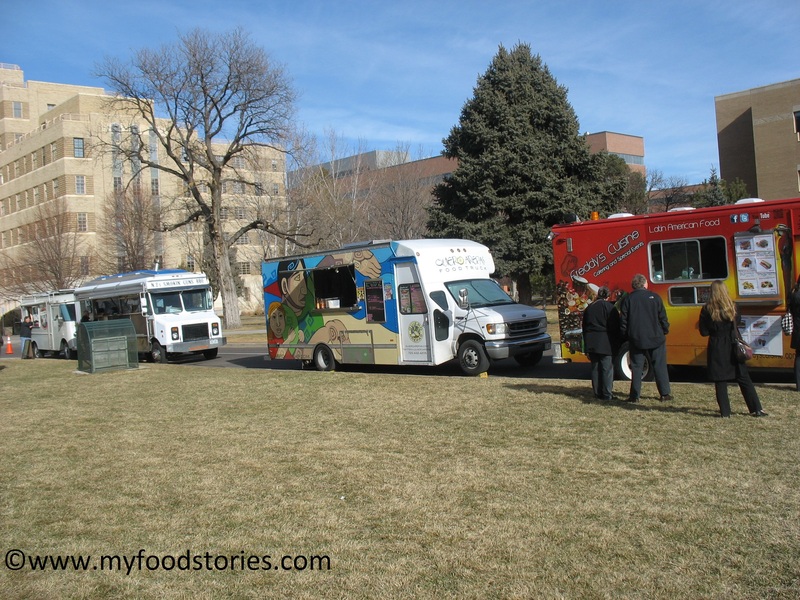 I was able to plan my trip and meet them at the Colorado Anschutz Medical Campus. 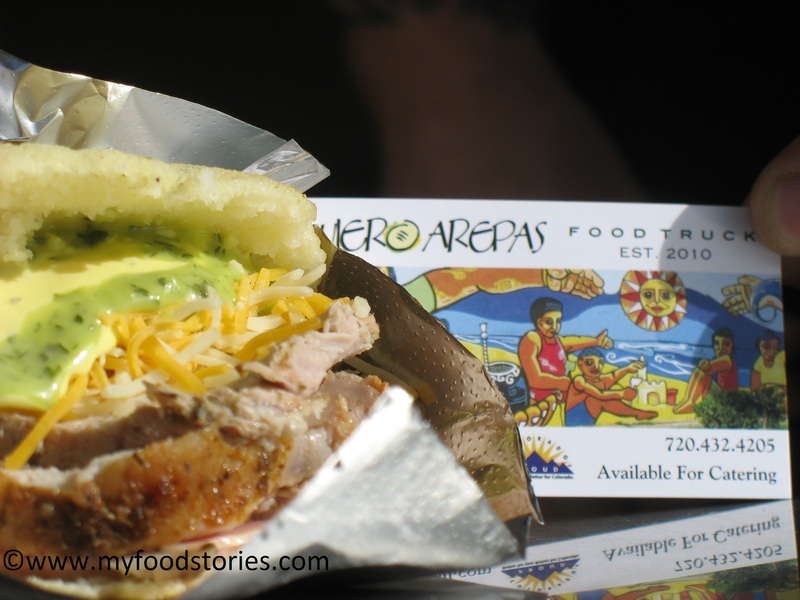 Without regrets, I drove over 20 miles to try the Venezuelan Arepas, and I was not disappointed. I ordered a QUESO AREPA (cheese arepa), which to my delight was also vegan. My husband ordered “LA HAVANA”, a classical arepa with pork and cheese. I asked Igor if he was worried about the Latin food truck competition and he replied confirming their concept and winning edge. They don’t compromise, they are true to the Venezuelan tradition. 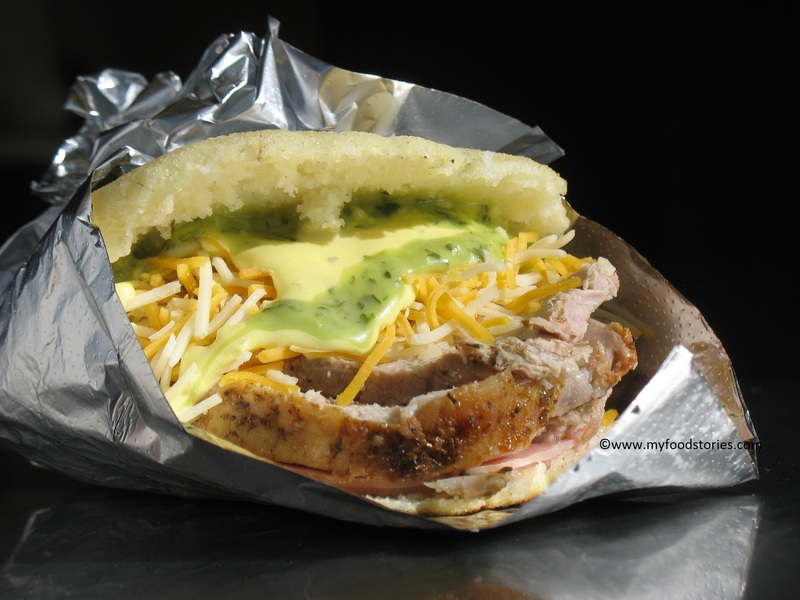 In Venezuela, if you want an arepa you go to the areperia (an arepas food store.) 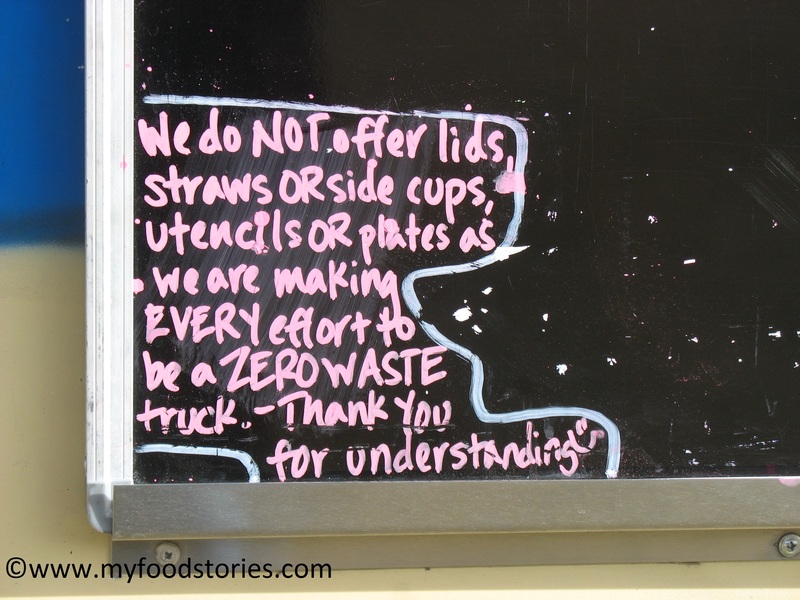 It’s simple, honest, true and authentic, just like the arepas we enjoyed. They promote fresh local products. They work hard to lower environment impact, not just by driving a natural gas truck but also by reducing human footprint. Check out the note posted at the bottom of their menu. We talked about Venezuela and Colombia, our rich culture, and how these two neighboring countries share corn flour as the main ingredient to diverse, exquisite meals. 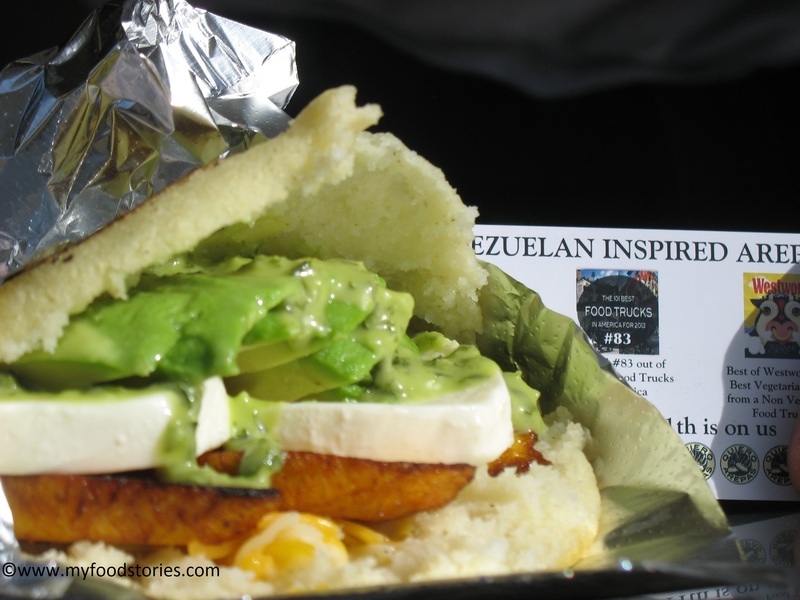 “Quiero Arepas” truly brings an authentic cultural experience.